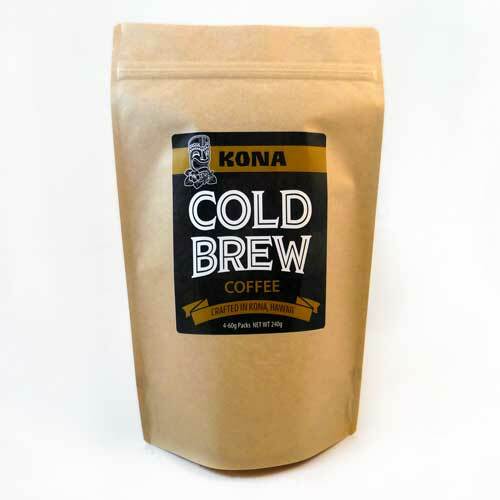 The original Kona Cold Brew Coffee from Kona, Hawaii. This boutique coffee has the unique flavor of Lion’s Gate Farms in Kona, Hawaii. This family-owned, private estate has honed their coffee profile for generations. The result is a coffee experience unlike any other. 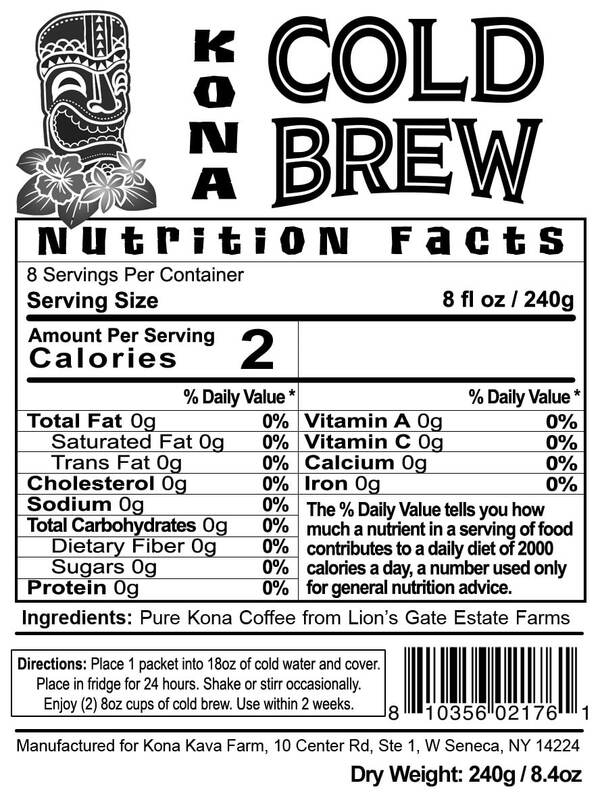 The original Kona Cold Brew Coffee from Kona, Hawaii. This boutique coffee has the unique flavor of Lion’s Gate Farms in Kona, Hawaii. This family-owned, private estate has honed their coffee profile for generations. The result is a coffee experience unlike any other. Yes, it costs a little more, but many consider this the best coffee available anywhere. We searched the entire Kona region in Hawaii for the best coffee, and hands down, in blind taste tests, Lion’s Gate Farms Estate Grown Coffee won every time. Now, why Cold Brew Coffee? The answer becomes clear in your first taste. Cold brewing creates a much smoother, stronger, and more drinkable coffee because cold water is the ideal extraction medium for coffee. The bitter tannins are left behind, for a far less acidic drink, and a much more satisfying one as well. We’re as proud of our Kona Cold Brew Coffee as we are of our Kava. We ensure that the same great care that goes into all our Noble Kava Root carries over into our Kona Cold Brew as well. From the elegant muslin sachets, infused with just the right amount and grind of Kona coffee, find out for yourself why Kona Cold Brew is the brand to beat. Sealed in a recycled Kraft Paper bag with ecological-friendly lining, this is the real thing. Looking for the perfect gift? Look no further than the standalone coffee pack, or the Kona Cold Brew Kit that comes complete with an elegant and sturdy glass pitcher. The special promotional price won’t last forever, so why not try it now? Even our coffee comes with our 100% Satisfaction Guarantee. And no, this Cold Brew Coffee isn’t the cheapest coffee around, but true Kona Coffee is worth every penny, for every delicious drop. DIRECTIONS: Simply place 1 sachet per 18 ounces of water, and chill in fridge for 24 hours. Remove sachet after 24 hours, and enjoy! Lasts up to 2 weeks.